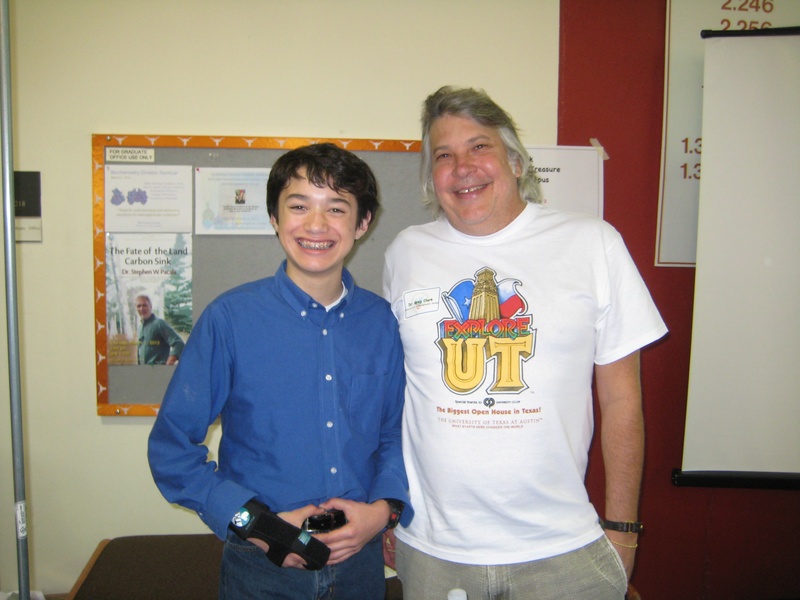 I was happy to see Dr. Greg Clark again at this year’s Explore UT. I first met Dr. Clark with the Shadow a Scientist Program last year. This program gives middle school students the chance to go on a two hour tour with real scientists at UT Austin. It was a fantastic experience. Dr. Clark is a research scientist with the College of Natural Sciences, and I enjoyed going around his lab and greenhouse and seeing his experiments. I remember him talking about plant mutation and showing us how normal plant roots go straight down, and how the roots of mutated plants grow wavy and crooked. If you’re a middle school student, this is an experience not to be missed! Sign up for this great program during the summer by contacting Dr. Clark on the Shadow a Scientist site that’s part of the College of Natural Science’s Freshman Research Initiative. He would love to hear from you!